If you don’t have a dominant receiver another thing you can do is use compress and bunch sets which make it tough to play man defense. This is because there should be a lot of bodies and traffic that the defenders have to get through to stay on their man which leads to free receivers. 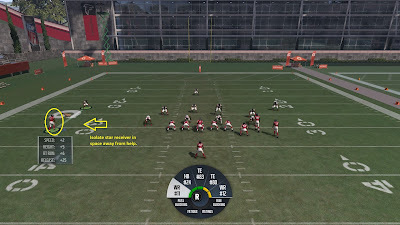 Note on football games: Some games have had more collision detection than others so, this is more effective in some games than others. Another reason for compressed and bunch sets is it usually gives more room to work. 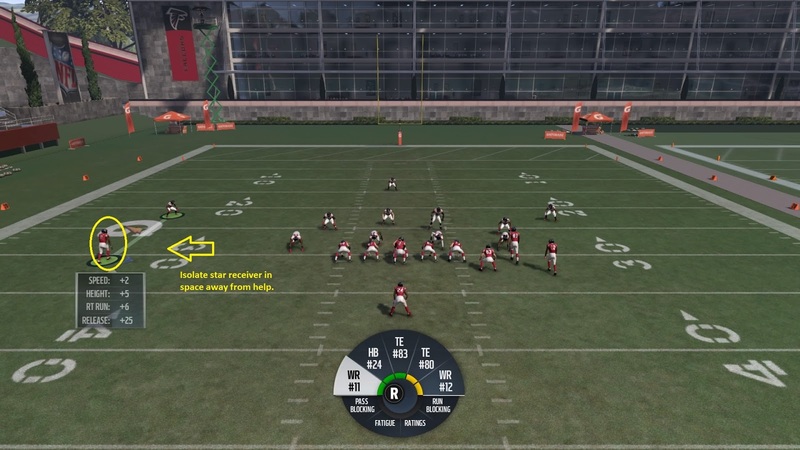 By placing receiver away from the sideline they now have more room to maneuver outside. Now receiver have all directions to attack which makes it harder to shade or guess the route direction. Out routes can be good against cover 1. The reason is they are attacking away from the zone help defenders in the defense. So, routes like outs, corners, whips, etc are a good idea. Inside breaking routes can work in certain situations. 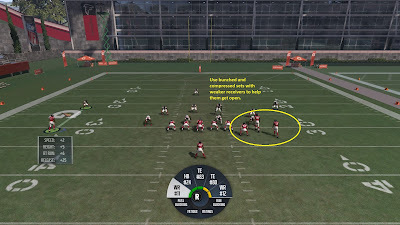 The first is when the inside route gets open before the receiver reaches the zone help area. An example of this is the same single receiver concept that we talk about earlier. The other situation is crossing routes that run past the zone help area and catch the ball on the other side of the field. This works really well when the receiver running the crossing route is fast and the quarterback has time in the pocket for the play to develop. Underneath routes like curls and deep comebacks also work well and maybe the best way to attack cover 1 man. The reason for this is the alignment of the corner’s being off coverage. This automatically puts the corner in a bad position to guard these routes by alignment. These routes also stay away from from the zone help of cover 1. Also, they have the advantage over out routes because generally the corners will be playing outside leverage to force inside throws to their help. If the receiver runs a curl it is neither inside or outside zone shading should have limited effect. Since Cover 1 has the numbers in the box(except against the option) the defense is usually pretty strong against the run. However, there is a way to run against. Cover 1 doesn’t have a traditional force player like in zone coverage. So it has to use the linemen to be force players. This isn’t bad unless that DE gets hooked by a better offensive lineman or they get blocked from the outside by a TE or a wide receiver. If this happens the offense can get big gains on the outside. The concept of force players for another post but the bottom line if you want to run on cover 1 should try outside runs or options. Isolate the best and compress the rest. Think players not plays. Tough to run against but can use the option or outside runs. These are basic ways to attack cover 1. As with all coverages, their are other ways to attack the coverage and different ways to play cover 1 which change the way you attack. Thanks for reading please comment and share, I would like to hear your thoughts.